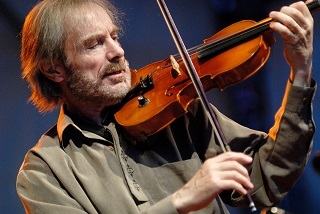 The first thing that will cross your mind when you put progressive rock, jazz fusion and violin together is probably going to be Jean-Luc Ponty. 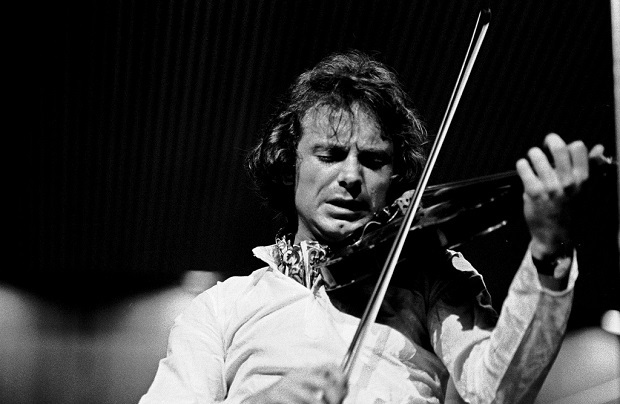 The French violinist had contributed to the genres’ some of the greatest records of all times. During his over 50 years long career, he worked with Frank Zappa, Mahavishnu Orchestra, Stanley Clarke, Al Di Meola, Chick Corea, Elton John, to name but a few. In an interview Prog Sphere did with Ponty, he talks about his career, but also dogs and cats. Read it below. Nick: Hello, Mr. Ponty. I must tell you that this is a real pleasure. How are you doing these days? JLP: Thanks… I can still play violin and write music so all is well… so far. Nick: I would like to discuss some of your incredibly lengthy career, from your early years until the present. Would you please tell us something about your beginnings, what was it like? It was natural for a kid from a family of musicians to get in music, right? JLP: Yes, but not all children who grow up in a family of musicians have talent, nor a strong desire to become a professional musician. I had both and my parents gave me a good start, they taught me to play several instruments which was very useful later on. Nick: Besides playing a violin as your primary instrument, you used to play clarinet for a school jazz band and doing so is what introduced you to the world of jazz. What was it like? JLP: Piano is my second instrument, thanks to which I composed a lot of music. Clarinet was my third instrument. While I was studying classical violin in Paris, I heard that a jazz band from a university was looking for a clarinet player and I went to to the audition, although I knew nothing about jazz. To my surprise they hired me because I was able to improvise immediately, right on the spot. Then they taught me a whole list of jazz standards, and I started buying jazz albums, discovering a whole new music world. That’s how it started. Nick: And as a result of your interest in jazz music, especially John Coltrane, you started to play saxophone. How important were those switches between instruments to you finding your path as a musician? JLP: That university jazz band was playing in a swing style from the 40s-50s, students were dancing on it. I was 16 years old and for me playing in that band was just to have fun, go to parties and meet girls. I did not take jazz seriously and was 100% into studying classical violin at the Paris Conservatory. But when I discovered bebop and post bop I started taking jazz very seriously and developed a passion for modern jazz, Sonny Rollins, John Coltrane etc. which is why I switched to tenor saxophone, which was easy coming from clarinet. Nick: What was it that made you decide to become much more involved in jazz and leave a potential career in classical music behind? JLP: One day I jammed with my violin for the first time and realized that having a greater technique on violin than sax was helping me improvise better, also the public reaction was incredible. Then I found out that there was not a single modern jazz violinist at the time, so for all these reasons I started my career as a jazz violinist at 21 years old and got so many engagements that I left the classical music world. Nick: You are considered one of the most important musicians in the history of jazz violin. Most people say it was you who proved the instrument had a place in jazz in the first place. What was it like starting out like that? What were some of the positive/negative impressions from the critics and general public back then? JLP: Violin had found its place in the early jazz styles thanks to great players like Joe Venuti, Stephane Grappelli etc. but when bebop arrived violin was no longer considered adequate and its sound considered too sweet compared to trumpet and saxophone. I was the first to prove that violin could be as powerful as a horn instrument and was immediately adopted by the community of modern jazz musicians in Europe and in America very soon after, and that was the most important first step for me. Reactions from critics and jazz fans were also very positive with rare exceptions. Nick: Are you satisfied with how Jazz Long Playing was accepted by critics and fans? How do you see that album now after more than 40 years? Could you recall some of your memories from that time, concerning the creating process of the album itself? JLP: This was my first album under my name and the one that revealed me to professionals in jazz all over Europe, radios, televisions, jazz clubs, festivals and critics. It won the Django Reinhardt prize in France and it was the real start of my career. I re-discovered it when it was re-released on CD in the late 90s, and I was surprised to hear how modern I sounded already and how quickly I had assimilated the bebop style, I was 21 when it was recorded. Nick: Speaking of Jazz Long Playing, that album consisted of you playing decently well-known jazz standards on violin. Was the goal of that to introduce the public to the idea of jazz violin via music they were already familiar with, to show them how amazing it could be that way? Just a guess. JLP: No, I played nothing but standards when I began, playing them in clubs everyday… That’s the only reason. I also recorded a personal composition based on the blues and the record producer asked two top French jazz pianists-composers to write each an original piece for me. Nick: As far as I know, you’ve done two violin summit records, featuring Terje Rypdal, Wolfgang Dauner, Robert Wyatt, Michal Urbaniak, among others. What can you tell us about them? JLP: Both violin summits were fun to do for different reasons. I was 24 when I participated to the first one and it was very exciting to be the young new comer among the famous mainstream jazz violinists at the time such as Stuff Smith, Svend Asmussen and Stéphane Grappelli. The second violin summit happened a few years later, this time with violinists of my generation, Michal Urbaniak and Don Sugar Cane Harris. I was better known by then, and the music was much more modern. It was good that both concerts were recorded and that live albums were released by MPS. 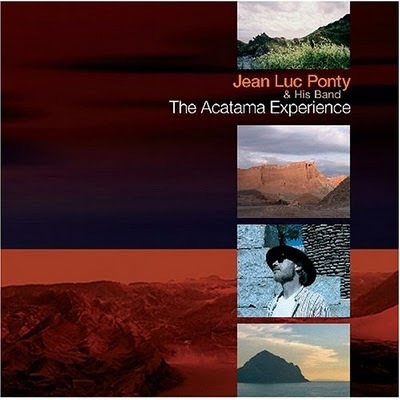 Nick: “The Jean-Luc Ponty Experience with The George Duke Trio” is an album that is considered to be one of the earliest jazz fusion albums. It was recorded live and helped start the blend between rock and jazz, forming something that couldn’t be heard earlier. What are your notes on this record and this idea? JLP: In 1968-1969 I had a recording contract with World Pacific in Los Angeles and was playing around California with George Duke. We were playing jazz with a rock energy and also incorporating some elements of rhythm & blues, all of which probably gave the idea to my record producer to have us play in a rock club, as a test. I thought he was crazy, but this rock audience in Los Angeles loved us, and the club owner asked us to come play every week in his club. So the next time we played there my record producer came with some recording equipment. The club was called ‘Thee Experience’ and that’s how this album came out. Critics in America called it a new blend of rock and jazz. That was before the label ‘jazz-rock’ started spreading in the 70s, now called jazz fusion. Dan: Another huge album in the development of jazz fusion was Hot Rats. You played on the final track of this album “It Must Be a Camel”. This album happens to be one of my favorites by Mr. Zappa. What was it like working on this album in particular? 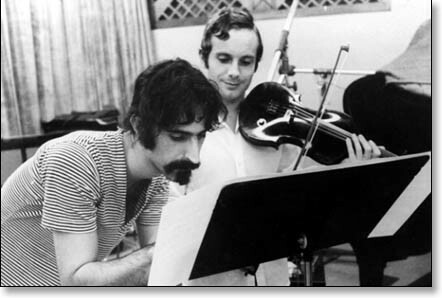 JLP: Again it’s my record producer Richard Bock who got the idea of a collaboration with Frank Zappa and who called him. Frank immediately accepted to produce my next record, which he named King Kong. Frank was recording ‘Hot Rats’ at the time, so while he was preparing his music for my album, he invited me to come to the studio and play a little bit so that we know each other better. But I don’t improvise, it’s Don Sugar Cane Harris who does a great bluesy solo on another piece, I forgot the title. Then Frank also came down to that club ‘Thee Experience’ to jam with me and George. Dan: What was it like working with Frank Zappa in general? You played on a lot of s “more important albums”, such as the aforementioned Hot Rats as well as Over-Nite Sensation and Apostrophe. JLP: He had a very rigorous working attitude and it was like being in a symphony orchestra, rehearsing all the time, which was no problem for me. I just did not expect to find such perfectionism and professionalism in a rock band. I learned from that experience that being a strong bandleader pays off. Also he was among the very firsts musicians who had his home recording studio and who could engineer and do everything himself, definitely ahead of his time with the use of technology. He wrote some great instrumental music but was loosing his rock audience with it, so after a few tours I ended up having only one solo per concert and was bored playing only background parts behind songs, so I left. Dan: In the 70′s you made more overtures into jazz fusion, this time much more directly. For starters, what was it like working with the new incarnation of John McLaughlin’s Mahavishnu Orchestra? JLP: I loved it as I was in complete affinity with that style of music. The sound of that band and John’s compositions were very original and it was very successful worldwide. I was the main soloist with John, so it was very stimulating and fun to perform every night. Exactly what I was dreaming of at the time. Dan: Both before and after that you had been releasing a lot of albums in a similar style. Not quite as heavy as early Mahavishnu, but still jazzy and full of fusion, if I may say so. Did you feel at the time that you were helping to flesh out a new form of jazz, alongside the aforementioned John McLaughlin, Chick Corea, Joe Zawinul, and others? JLP: Not right away. Personally I wanted to assemble all my musical experiences into one form of music with elements of classical, jazz and rock, because I was no longer happy playing in only one style of music. It meant breaking existing rules in jazz, but I was doing it to achieve personal satisfaction, not knowing nor caring if it was also fleshing out a new form of jazz. It’s only in the 80s and 90s when I met young musicians around the world who told me that my music and that whole movement had inspired them a lot that I became aware of our impact. Dan: In the 80′s you made a lot of jazz albums that employed synthesizers, which is what a lot of people like Al Di Meola and Chick Corea were doing with jazz fusion at the time. It seems like you were a part of the forefront of every major movement in jazz fusion. If that is indeed the case, where do you see it going now? Chick Corea likes to talk about how Hiromu Uehara has taken the reigns from him to become the leader of piano jazz fusion, do you see anyone taking the reigns of violin jazz from you? JLP: I cannot predict the future but only observe the present evolution. Electric instruments and electronic effects were totally new when I was young, they became the standard of my generation but with time the tendency has been to bring back acoustic sounds and to blend them with just a few electronic sounds and effects. New generations have less space to innovate since so much has been explored already, but the most talented and intelligent young musicians have an incredible capacity of assimilating what has been done in the past and to bring it to higher levels. So it’s very rewarding for musicians like myself to have planted seeds that keep blooming among younger generations. 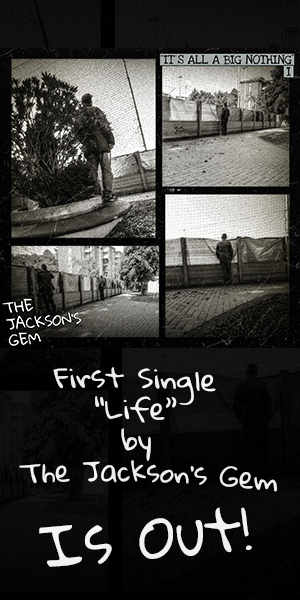 And to my surprise it goes beyond the jazz world since some dance and rap groups have been sampling some of my pieces. As for young violinists there are a few now who have a real talent and who will keep proving that our instrument has its place in modern music, like Madds Tolling from Denmark whom I discovered during a master class in Boston and whom I recommended for Stanley Clarke’s band, and also Zach Brock in the U.S. and lately I discovered Christian Howes, also in the U.S., who is for me the most accomplished jazz and modern violinist of the new generation. Dan: You seem to have slowed down in recent years, what with your last album of new material (The Atacama Experience) having been released three years ago, and the last one before that having been released nine years ago. Why is this? Is it just age catching up to you? It just seems like a stark comparison to your work from the 60′s through the 80′s and early 90′s when you had a new album out every year. JLP: Where did you get this 9-year figure? It has never been more than 4 years between albums lately, including a live DVD plus live albums which represent as much production work as studio albums. And I released two studio albums with completely new music in the last 10 years. So it’s not age catching up with me… But me catching up with life. I want to enjoy life with my wife, my children and grand children and discover other things besides music. After producing so many albums I am only interested in releasing a new one if I have something new or different to offer. And with all the bootlegging and pirating these days, there is less and less reward for the hard work. However I have kept touring all these years, and I really enjoy performing live. Dan: What do you have planned for the near future? Or, failing that, for the next few years? JLP: I want to do a collaboration album with guitarist Allan Holdsworth and other collaborations are also being discussed, probably for 2011, too soon to announce, it will be a surprise. Dan: What sort of music have you listened to throughout your career? What kind of music do you like to listen to now? JLP: In the past… All types, classical, Indian and Tibetan musics, Bulgarian folk singing, jazz, flamenco, Stevie Wonder, Sting, progressive rock etc. And nowadays I rarely have time to listen to music and do so only to discover new artists. Dan: I think I’m out of questions, is there anything else you would like to add? JLP: You asked plenty and honestly I have nothing to add. Dan: One final question: Do have a dog and/or are you a fan of dogs? I ask all interviewees this question just for fun, so please don’t accuse me of being insane. JLP: I prefer cats because they remind me of women… You never know what to expect with them! Dan: Thank you for taking the time to do this interview with us!